It is very light weight, cute pots, the pot bottom has small holes to keep soil drained and ventilated. The traditional tapered design features natural textures and decorative embellishments to add a beautiful accent to your home. 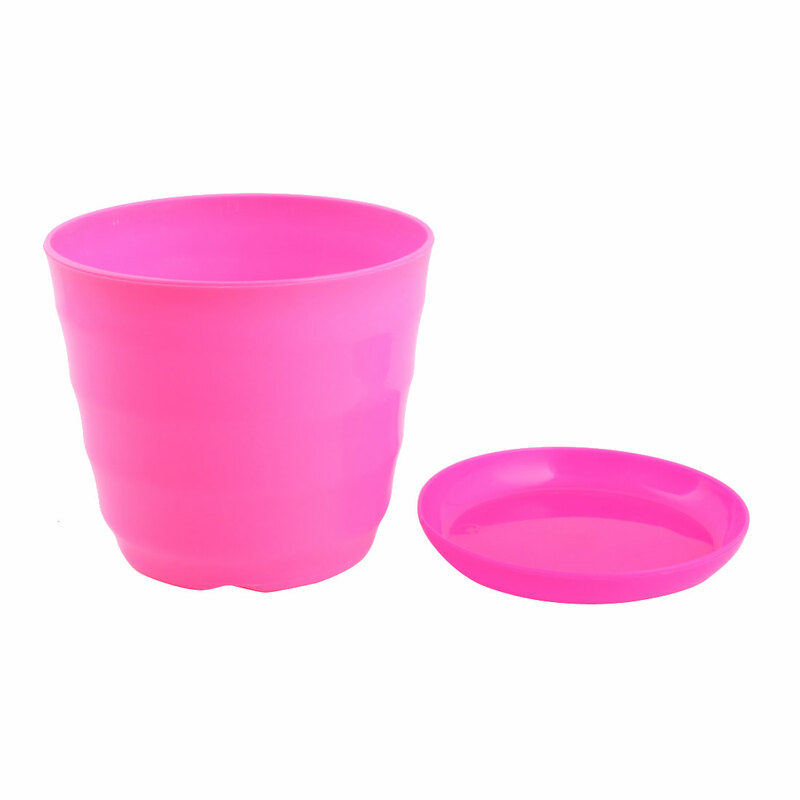 This series of flower pot are very cute, with different colors, and made of high quality materials. This flower pot not only can be used for planting your flowers, but also can decorate your room,garden or your office. Accessory only,plants are not included here. Available color:Orange, White, Purple, Blue, Red, Green, Pink, Fuchsia,Yellow. Lightweight, durable and colorful, beautify your room, garden and your office. Designed for displaying live plants, but can also be used as a decorative centerpiece bowl or a office supplies organizer.